Here comes earnings season. But, this isn’t just another earnings season in the middle of an economic expansion. This is a critically important earnings season which will give us some insight into how close, or far, we are from the next big economic downturn. Context here is important. In late 2018, stocks were killed in anticipation of slowing economic expansion that was expected to produce weak first-quarter 2019 earnings. This happened. Somewhat. In their Q4 earnings reports, U.S. corporations consistently delivered weaker-than-expected guides based on a slowing global economy. Q1 2019 earnings estimates for the S&P 500 consequently dropped more than 7%, marking the third biggest downward revision in quarterly profit estimates over the past five years. Despite this bearish dynamic, stocks have staged a huge and broad rally in 2019 as investors are betting that Q1 numbers will be as bad as it gets. That is, there are multiple signs that the global economy is improving (the Fed has gone from hawkish to dovish, U.S.-China trade talks are progressing nicely, consumer confidence globally has rebounded in 2019 and labor markets globally remain healthy), and the market has taken the stance that we basically had a mini-slowdown in early 2019, but that this slowdown is now over. Is this true? No one knows. But, the first quarter earnings season will give us some critical insights into answering this question. Specifically, investors will want to see that outlooks are improving, and that Q2 is broadly expected to be a step up from the down first quarter. With that set up in mind, here is a list of seven stocks to watch during this all-important earnings season. The Question: Did things improve in early 2019 as much as the stock said they did? 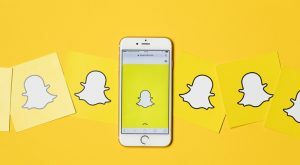 One of the market’s biggest winners in 2019 has been Snap (NYSE:SNAP). Year-to-date, SNAP stock is up more than 120%, as investors are extrapolating from strong fourth quarter 2018 numbers that the Snap turnaround is in full force, and that things will only get better from here. But, with the stock up 120% year-to-date, Snap’s first quarter numbers — due at the end of April — will have to be really good to justify the big rally. By really good, I mean to say that Snap needs to check off all the right boxes and then some. That includes user base growth, ARPU growth and gross margin expansion, alongside narrower operating losses. If Snap checks off all those boxes, the big 2019 rally in Snap stock will remain alive and well. If not, SNAP stock could drop big, considering the amount of optimism in the air with respect to the Snap turnaround. I’m fearful that Snap won’t be able to check off all those boxes, given that Instagram appears to still be eating Snap’s lunch. As such, I think there’s lot of risk in SNAP stock ahead of earnings, and that this quarter could ultimately break the big 2019 rally in this stock. The Question: How much did low delivery volume impact profitability? 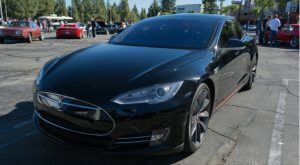 A few days ago, electric vehicle manufacturer Tesla (NASDAQ:TSLA) reported far worse than expected delivery numbers for the first quarter of 2019. TSLA stock dropped sharply on the news. But that delivery update wasn’t specific as to how the lack of delivery volume in the quarter directly impacted profitability. 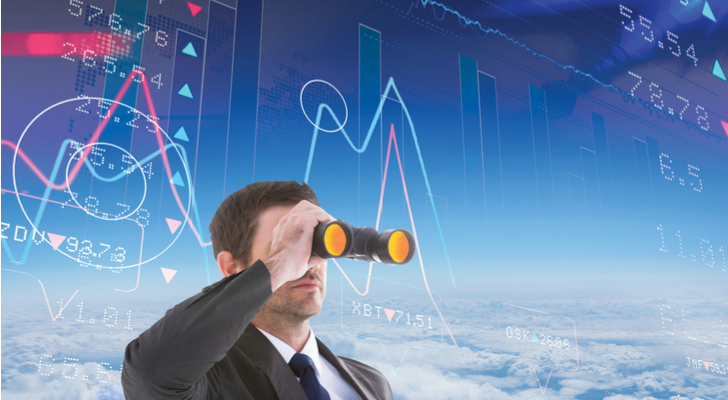 Thus, all eyes are now on the first quarter earnings report, due in early May. Specifically, investors are looking to see just how much Tesla’s profitability was impacted by low Q1 delivery volume. If the impact was large, the downtrend in TSLA stock will persist, and $250 becomes the next logical stop for the stock. If the impact was small, the downtrend in TSLA stock could easily turn into an uptrend, and you could see investor sentiment improve dramatically over the next few months and push the stock to $350. As such, Tesla’s Q1 earnings report is of dramatic importance. It will ultimately set the trajectory for TSLA stock over the next few months, and that will decide whether or not Tesla trades at $350 in a few months, or $250. The Question: How real is this huge recovery? Right now, all of Wall Street has bought into the Chipotle (NYSE:CMG) recovery story, and that’s largely why CMG stock is up 125% over the past year, and up nearly 70% year-to-date. The fundamentals support this rally. To an extent. New management has implemented new initiatives — like digital sales expansion, menu innovations and novel marketing — which have driven healthy comparable sales, traffic and margin growth over the past several quarters. But, the restaurant industry is also notoriously fickle and the economy is slowing, so the longevity of this recovery is a constant risk to the uptrend in the stock. This recovery rally will get a gut check when Chipotle reports numbers this earnings season. Either the numbers continue to be great and prove that the Chipotle recovery is alive and well, and CMG stock continues to march higher. 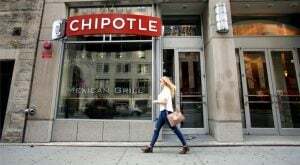 Or the numbers falter some amid slowing economic expansion and prove that the Chipotle recovery is slowing, and CMG stock tanks from its multi-year highs. Either way, this is an exceptionally important earnings report for Chipotle. The Question: Are the data security headwinds entirely in the rearview mirror? Another company with a lot to prove this earnings season is social media giant Facebook (NASDAQ:FB). Year-to-date, FB stock is up 35% as investors have become largely immune to data security and privacy headwinds. Ultimately, what happened was you had the worst data security and privacy scandal ever in 2018. Facebook was at the heart of that. Yet, despite being the focal point of that scandal, Facebook’s bottom line was hardly hurt. Users didn’t leave. Advertisers didn’t leave. The only negative hit was margins, and those are expected to improve this year as data security investments scale back. 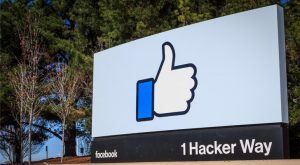 All in all, then, Facebook appears to have largely muted the financial impact of data security and privacy headwinds. Consequently, this upcoming earnings report is exceptionally important because it will either confirm or negate that thesis, and set a precedent for 2019. If it confirms and the numbers continue to improve, FB stock will stay on a big uptrend. If it negates and the numbers show some weakness amid what are still very real data security headwinds, then FB stock will give up a chunk of its year-to-date gains. The Question: Are they being squeezed out of the athletic apparel space? The athletic apparel space is red hot right now, thanks to the convergence of athletic and leisure styles against the backdrop of a consumer that is more concerned than ever with living an active, healthy, and fit lifestyle. But within that red hot space, you are starting to see a big divide between the “haves” and “have-nots”. In the “haves” basket, you have Nike (NYSE:NKE), Adidas (OTCMKTS:ADDYY), and Lululemon (NASDAQ:LULU) — three brands which have successfully pivoted to become lifestyle companies. In the “have-nots” basket, you have Under Armour (NYSE:UAA). That’s mostly because Under Armour missed the boat on the athleisure trend, and has failed to turn into a lifestyle brand. Against this backdrop, Under Armour’s upcoming earnings report is of critical importance. All of its peers are reporting great numbers. If Under Armour doesn’t report great numbers, the takeaway is clear. Under Armour is getting squeezed out of this market. Investors will run. Analysts will downgrade. The stock will drop. But, if Under Armour does report great numbers, the exact opposite will happen. 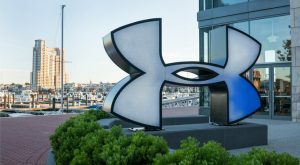 As such, this quarter is important for Under Armour because it will show just how well (or not well) the brand is competing with its more relevant peers. The Question: How much market share are they actually gaining? The S&P 500’s top stock in 2018 was chip-maker Advanced Micro Devices (NASDAQ:AMD). That rally hasn’t cooled in 2019. Year-to-date, AMD stock is one of the top 5 gainers in the S&P 500. The rationale behind the rally? Market share gains. Specifically, there have been a series of market developments, product announcements, and semi partnerships in early 2019 which strongly support the thesis that AMD is rapidly stealing CPU and GPU market share from its larger peers Intel (NASDAQ:INTC) and Nvidia (NASDAQ:NVDA). Consequently, everyone is buying into the “David is turning into Goliath” narrative. Q1 numbers will give this narrative a gut check. Investors will be able to contextualize this market share expansion narrative with numbers. If the numbers check out, then AMD stock will hold onto its big year-to-date rally. But if the numbers don’t check out, the opposite will happen. AMD stock will drop in a big way as its growth narrative loses steam. 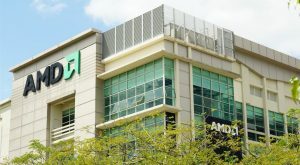 Overall, AMD’s earnings will either confirm or negate the stock’s continued rally in 2019 based on the magnitude of AMD’s early 2019 market share expansion. The Question: Are they still dominating the OTT video landscape? 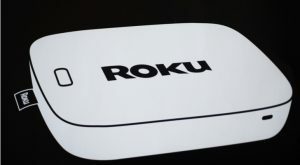 One of the more enigmatic and volatile growth stocks in the market is streaming device maker Roku (NASDAQ:ROKU). This stock has gone from hot, to cold, back to hot as investors have tried to understand exactly where this company lands in five to ten years. The biggest knock against ROKU stock is competition. The bear thesis is that competition will ultimately make this company irrelevant. But the bigger Roku gets, the more this thesis loses credibility. Thus, each positive earnings report with huge user growth adds firepower to the bull thesis, and detracts from the bear thesis. Right now, Roku needs one of those positive earnings reports with huge user growth. The stock has rushed to all-time high valuation levels in early 2019. Yet, competitive risks are mounting, and Wall Street analysts are expressing skepticism regarding valuation. The Q1 earnings report will address these concerns, and either silence them, or make them louder. As of this writing, Luke Lango was long TSLA, FB, NKE, INTC, and ROKU. Article printed from InvestorPlace Media, https://investorplace.com/2019/04/7-stocks-with-a-lot-on-the-line-this-earnings-season/.